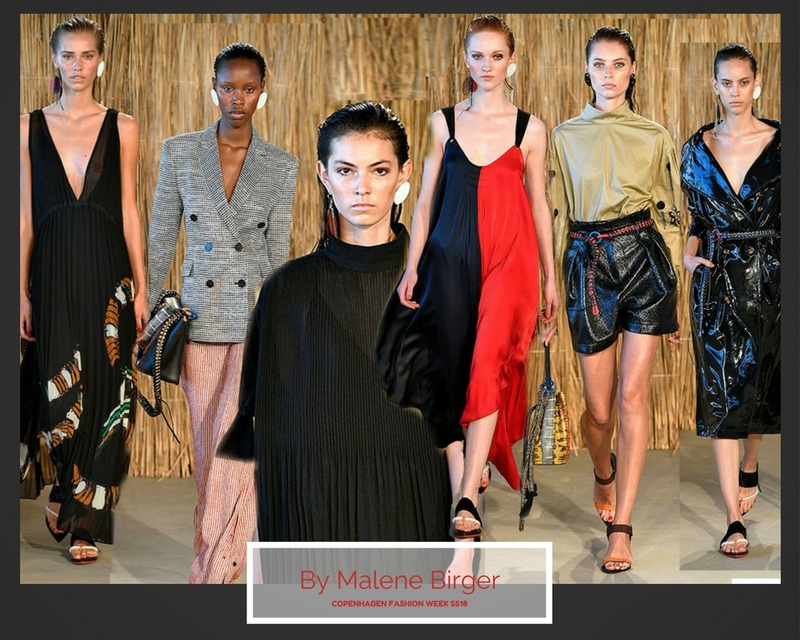 Hi guys, I am back to finish off my SS18 Copenhagen Fashion Week recap. First up we have By Malene Birger, a label started by Malene Birger back in 2003. Since inception, the label has gained international fame thanks to popular online stockist such as Net A Porter. Not to be taken in a negative way, but I was initially drawn to the accessories (particular those earrings). I am a huge fan of geometric shaped accessories at the moment so those white circle earrings caught my eye rather quickly. The structured handbags were also a big hit for me. Donned with beautiful snake prints and bright colors, I have to have one of these bags. Now on to the clothes, inspired by the city of Sao Paolo. I immediately noticed the influences of the rainforest and city living. I found the collection to be very commercial and easily digestible for the actual consumer. The leather like, pleather trenchcoat and high waisted shorts were very strong pieces that I know will trickle down to the high street and possibly become key pieces next SS.